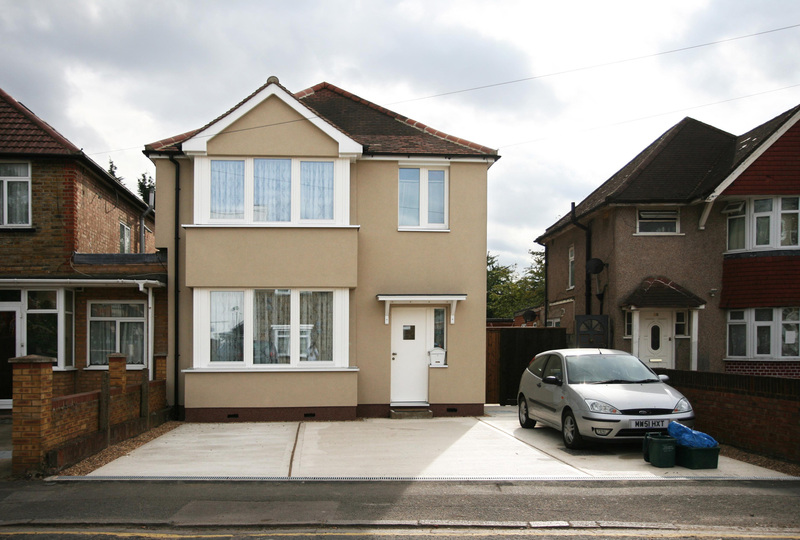 Funded by the Technology Strategy Board and implemented in 2010 in collaboration with Hounslow Homes, this social housing retrofit makes use of external insulation, new triple glazed windows, and heat recovery ventilation which transformed the comfort of the elderly occupants, providing them with a warm house, free of drafts, and a continuous supply of passively pre-warmed, clean, filtered fresh air. Both elderly occupants had extremely serious and terminal lung conditions. The retrofit of their home towards the Passive House standard immediately resulted in reports from the occupants of significant health improvements. (See our Retrofit for the Future films, including occupant interviews here). The main objective of the project was to show that deep energy cuts and improved comfort and healthy conditions are possible by retrofitting solid brick-walled detached houses, and the improvements can be done while the occupants remain in their homes. We showed that improved thermal comfort, reduced energy bills and lower CO2 emissions are possible for millions of people in existing houses. Scientists tell us that by 2050 we must have cut our national energy demand by 80% to avoid dangerous and irreversible climate change. A succession of governments has failed to take meaningful action or leadership in this most important task. If we had started in 2011, the UK would have needed to convert, in the manner of Grove Road and Passfield Drive, 13,000 homes per week to achieve the legally-binding national CO2 emission reductions by 2050. "a big improvement to my health"